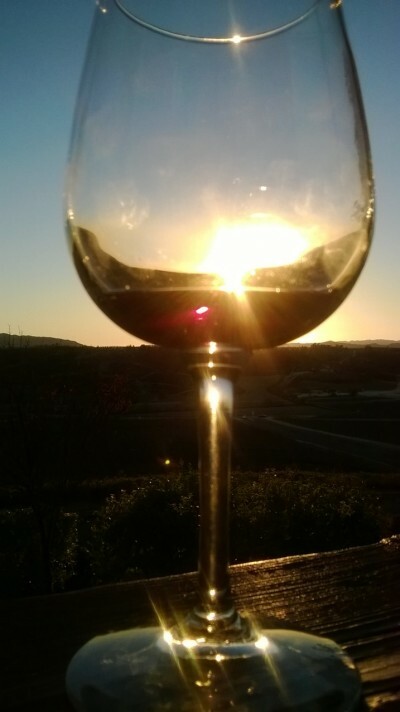 Delicious wine over a beautiful Temecula vineyard. It’s not really a secret: wine tasting is the best thing to do ever. You don’t have to be an oenophile – but that undoubtedly makes you cooler – to enjoy hanging out at a beautiful, rustic vineyard while sampling the oaky, full-bodied, fill-in-wine-adjective fruit juices of its labor. Specifically, I visited Faulkner Winery. It might have been the calm vibe, the setting sun or the unseasonably warm December, but it was transcendent. A particular favorite was the Hot Lips mulled wine (yes, the irony of a mulled wine in Southern California is not lost on me but it was delicious). Add a piece of chocolate with the taste, and the evening is complete. It’s no secret: We love food. And we also love it’s near and dear cousin, wine. 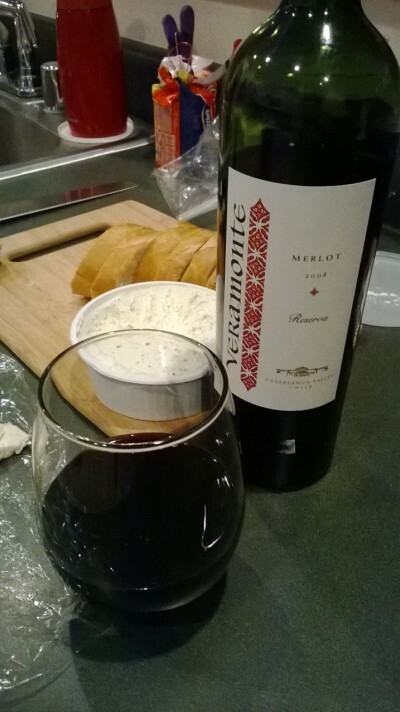 So we’re starting an unofficial wine club: the Dear Food Wine Club. We’re hardly connoisseurs, but we staunchly believe that you don’t have to be one to enjoy it. Besides, who hasn’t ever picked up a bottle solely based on its pretty label? So join us as we stumble through the world of wines and confess our love for it along the way. 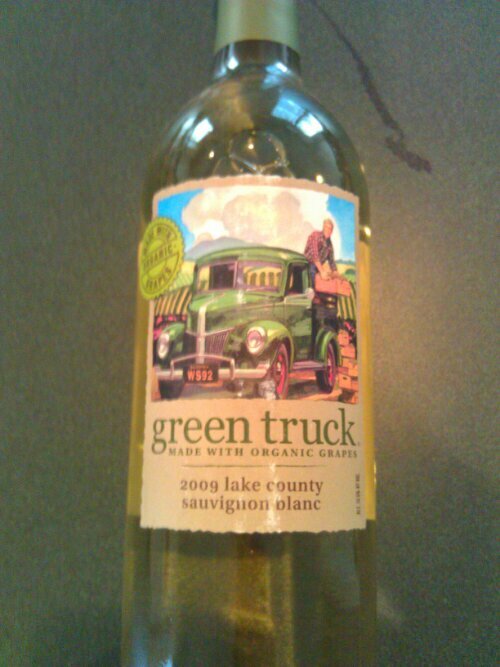 I begin with Green Truck sauvignon blanc. While I generally prefer reds, I picked this up to go with Natalie’s delectable pasta – basically on the principle that white sauces and meats go with white wines. Granted, no actual sauce or meat here, but it’s been so humid in Lawrence that a red just wouldn’t fit. This was refreshing, light and fruity which – I thought – clicked perfectly with the lemon and pine nuts in the pasta. We’d love your suggestions for the Dear Food Wine Club. Email us! In a rare moment of inspiration, I decided to cook. 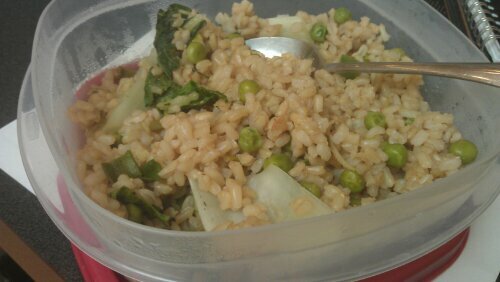 And I wanted this: steamed rice with spring vegetables. It’s a quick hit: Light, delicious and satiating, especially if you love soy sauce as much as I do. I made a couple boo-boos: I forgot to get eggs at the store; used green onions instead of scallions and a spicy sesame oil instead of the regular. But man, I think bok choy is my new favorite thing. And of course, wine was present. We went to Wamego, Kan. a couple of months ago to visit The Oz Museum and Oz Winery. I cracked open my bottle of Ruby Slippers to sip while I cooked. Yeah, I had a good time. And here’s leftovers.